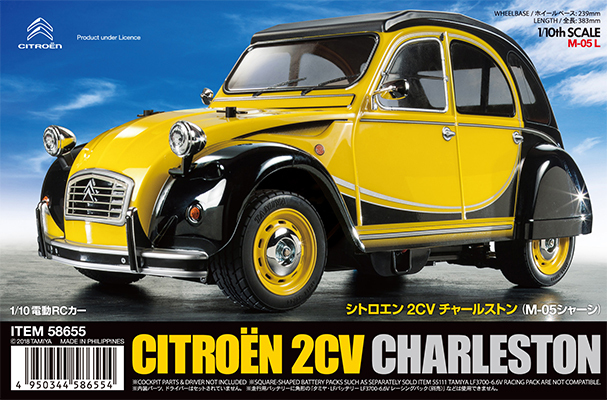 This radio control model faithfully recreates the world-renowned Citroën 2CV Charleston. 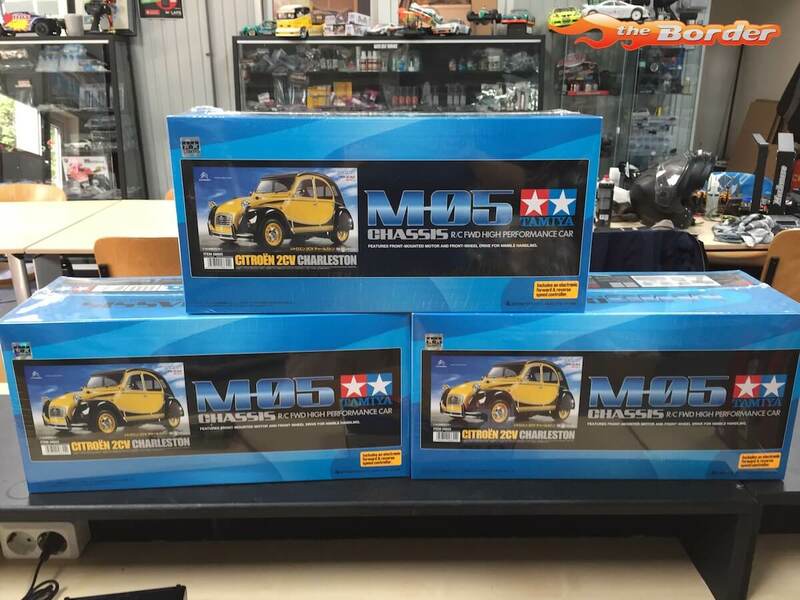 The polycarbonate body sits on top of Tamiya’s fun to drive M-05 front wheel drive chassis. Over 3.5 million cars were produced from 1948 to 1990. 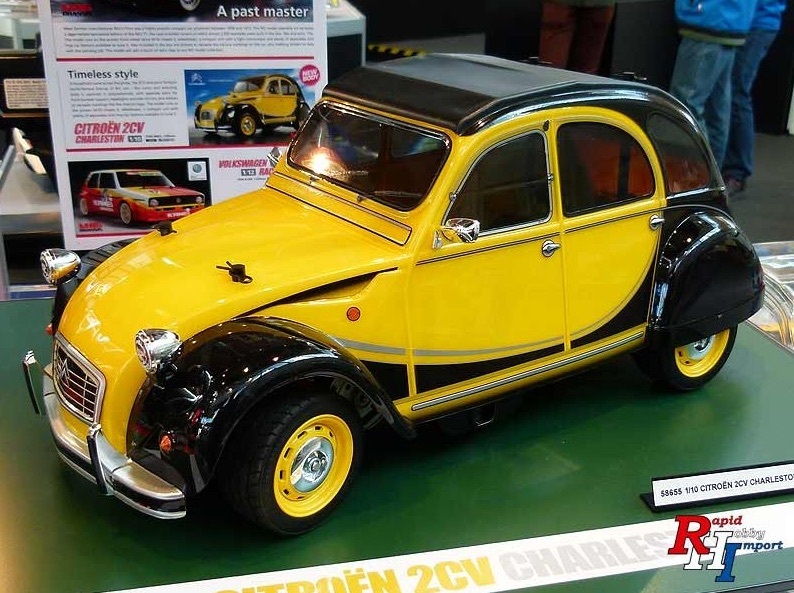 Its reliable air-cooled 2-cylinder engine got the little front wheel drive car from A to B with little fuss, and the car could accommodate 4 adults adequately. 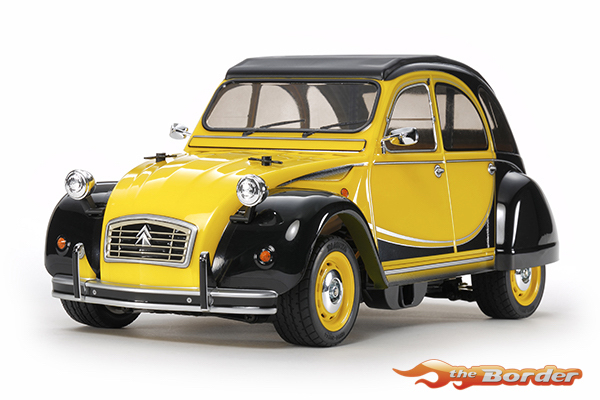 With its soft suspension designed for off-road driving, it is said that the 2CV could traverse a ploughed field without breaking any of the eggs it carried. The front wheel drive M-05 chassis features a lightweight, narrow, durable, and easy-assembly semi-monocoque resin frame. Gearbox, motor, battery pack, receiver, servo and ESC are positioned for optimum weight distribution and a low center of gravity. Ground-hugging 4-wheel independent double wishbone suspension and the 3-piece steering linkage provide stable high-speed cornering. Gun metal color 11-spoke wheels are matched with tread-patterned radial tires and feature tire inserts. This kit does not include all necesary electronics to drive it. 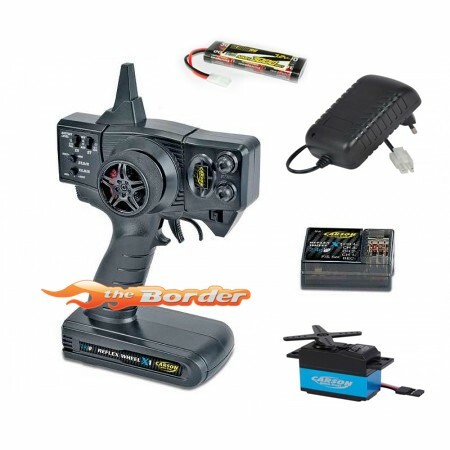 You can include this Transmitter Combo in the options of the kit to include all necessary parts to drive it (except for an ESC, which might or might not be already included in the kit, check the specifications of this kit above).